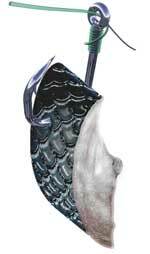 Visit our Fishing Tackle Online Store. 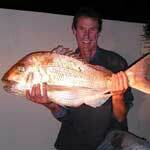 The east coast snapper fishing is really hotting up. The schools of snapper are already in at Bream Bay and good hauls are being taken on kite dropper rigs and kite longlines there. 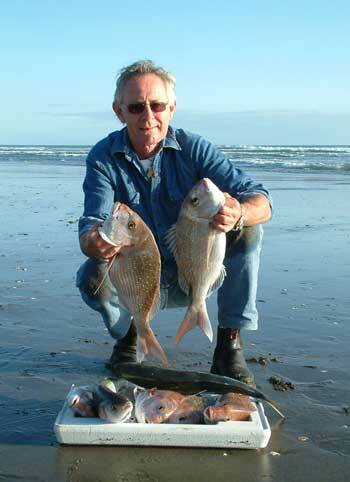 Ruakaka to Waipu is fishing very well at the moment - the biggest fish are often taken when light levels are low. Cloudy days, or a dawn or dusk shot, are usually the best times to fish here. As the schooling season progresses the snapper will become less spooky and by November it will not matter what time of day or night you set your gear. 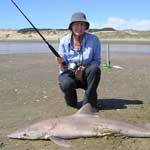 Pakiri Beach and Te Arai Point usually fish best between November to March. 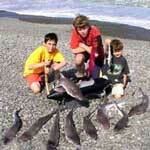 Ruakaka to Waipu Cove have a longer season and good kitefishing is available from October to June. The Rod, reel and spectra combo's on the right are a perfect match for both kite fishing or deepwater fishing for Bass, Hapuku, Kingfish and Blue Nose. These combo's are the most efficient for small kite rigs because the spectra is so light, the line is supported clear of the water for the maximum distance offshore. When deepwater fishing from boats you can feel the bites or jig in hundreds of meters of water. This is because the spectra has almost no stretch. It also needs less weight to get your gear on the bottom because the line is so thin. It has been an incredible year for kitefishing on the west coast with good hauls of snapper reported from Muriwai Beach every time we have had easterly winds. Usually snapper are scarce from the main beach at Muriwai from June to September but this year the snapper spent the winter in very close to the surf. 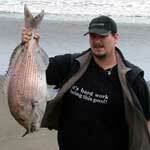 This, combined with frequent easterly winds, has made 2005 a record year for kitefishing according to our records. With the spawning season due to commence late October the fishing is bound to get even better! The schooling fish usually hang around on the west coast just off the beach and well within kite fishing range until the end of May. If you are thinking about getting into kite fishing the time to act is right now. If your picture appears here you have won a $30.00 gift voucher. Geoff Preston has kite fished the Mokau Awakino area for six years and has caught a staggering 31 snapper over 20 pounds in that time. 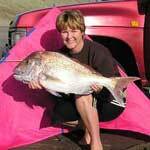 Geoff has kindly provided us with enough local information to write a feature article on using kites and electric kontikis to catch the giant snapper the North Taranaki area is famous for. We have included a map of fishing spots in the area. Peggy and I have spent a lot of time on the beach over the last few months filming for two NZ documentaries, one Japanese Welcome to NZ programme and most recently, training our new Australian agent. During all of our travelling on the beach we have spoken to many kitefishers and checked out their catches. Surprisingly not everyone is catching as much as Peg and I, even though 95% of those we see on the beach are using our kite fishing equipment. As our gear is exactly the same as theirs there can be only two reasons for their reduced catches, the bait or the way the hooks are baited. The baiting of the hook is critical, simple lay the cut bait skin side down in between two fingers and pull the hook through the flesh first and then through the skin. Take care to pierce the skin in the centre line of the width of the bait and put the hook through the bait only once at one end of the bait. Hooking baits through the lengthwise centreline will cause the bait to spin and tangle your traces. If you use the above technique this will prevent the skin separating from the flesh. It will also ensure the bait retains it's full toughness and reduce the number of twisted traces. Remember to always keep the point and barb of the hook exposed, don't choke the bite of the hook with bait, and always check the point is clear of fish scales. Note : We use snelled Target Snapper Hooks on all of our kite and longline rigs because of the holding power, catch rate and the fact they seldom gut hook undersized snapper. If you use J shaped Octopus or O'Shaugnessy fish hooks on snapper longlines your catch will be reduced by more than half. For catch rates similar to those in this article always use snelled 4/0 to 5/0 circle hooks baited as shown. Luckily I have a fish hawker just down the road who usually has fresh mullet and sometimes a variety of small mackerel. I always pick whatever looks freshest and hope that it is tough enough to last a while in the surf or out just behind the breakers. This is my starter bait for the first set and I bait the rig carefully in the hope of catching a kahawai, trevally or some other suitable bait fish. When I get to the beach I scale the bait fish before filleting, then cut the bait into strips about 25mm wide and between 50 to 100mm long. Fresh Bait is everything, I am a fanatic when it comes to bait for kitefishing. If I don't have to kill it before I cut it up it certainly isn't fresh enough. Obviously it is impossible to take live bait with you so if you want absolutely fresh bait it has to be caught on the day. The last few times I have been kitefishing I have been lucky enough to catch a few kahawai on the first set and have filleted them as above. 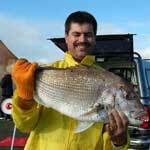 A few weeks ago I caught six kahawai and one snapper on the first 12 hook set baited with mullet from the hawker. I cut up the two smallest kahawai for bait and was rewarded with six snapper ranging from one to two and a half kilograms on the following set. While filming with the Japanese crew the previous week we caught only one kahawai and a gurnard on the first 12 hook set. The next 12 hook set, baited with the kahawai we had just caught, returned with seven snapper and four huge gurnard. 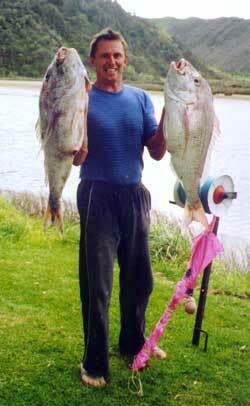 The two biggest snapper weighed in at 3kg, one at 2.5kg and the rest were about two kilograms each. 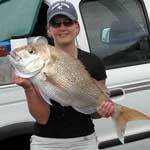 Eleven fish on twelve size 4/0 Target Snapper Hooks baited with just caught kahawai! If this was just happening to us perhaps it would be possible to argue it is just a coincidence, but everybody we spoke to were getting the same results. When using fresh mullet their catches were only fair, but all who used just caught kahawai had really improved their snapper and gurnard catch. A customer in the shop reported to me that the day after I was at the beach he caught two kahawai and a gurnard on his first 25 hook set baited with mullet. 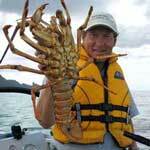 The second set was baited with the kahawai and returned 14 snapper to 6kg, five huge gurnard and a couple of kahawai. This equates to an 84% catch rate! Personally, I don't think kahawai is actually the best bait. Fresh caught mackerel or trevally are superior, unfortunately both are a lot harder to catch on the west coast. If you catch either of these make sure to give it a try. An old customer of ours always used freshwater eels for bait. The eels were taken live to the beach. He caught more gurnard than anyone I know and very little of anything else. 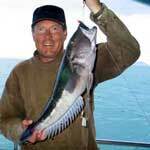 I have even used gurnard for bait when the trevally bait I had taken was too soft to hang on to the hook. The first 30 hook set of the day with the near liquid trevally returned with a tiny kahawai and two very small gurnard ( it was before the 25 hook limit came in ). I just managed to get 30 very small baits out of the three fish and was amazed to catch 28 good gurnard on the next 30 hook set. The thing that really surprised me is how tough gurnard baits are, I had to cut every one of them off with a knife. It seems to me that just caught bait is significantly more productive than anything you can purchase or pre-prepare. While you still need to take some bait with you to catch your live bait, the extra time spent doing so is probably the best way of assuring the best catch of the biggest fish of the most desirable species possible on the day. During our recent fishing trips we noticed that several people were using squid and none we interviewed had caught snapper or gurnard. While some were catching kahawai none were using it for bait. Squid just doesn't seem to be working at the moment at Muriwai Beach. Frozen mullet was fishing at around half the catch rate of fresh mullet from the hawker. On the sets we saw hauled in, most of the baits had gone - probably stolen by crabs on the way through the surf zone. I saw a report from the serious crash unit on TV the other night and was surprised to find the speed limit on Muriwai is 70kph. This is a sensible speed and if everybody adheres to it the beach will be a safer place for motorists and all other beach users. The SCU program focused on how easy it is to flip a vehicle on sand. When turning, even slightly, a sand curb builds up on the outside of the wheels on the side opposite the direction of the turn. If the front wheels catch on this curb the steering wheel can be ripped out of your hands and the steering instantly goes into a full lock in the direction of the turn. This causes the front wheels to dig in and stop while the rest of the vehicle is still moving. The car then violently flips over the front wheels at a 45 degree angle. The vehicle in the program was travelling 100kph plus on a straight part of the beach and possibly made a slight turn to avoid a wave. The front wheels dug in and the vehicle flipped and was airborne for 9.5 meters. After landing it rolled seven and a half times before coming to rest. There were fatalities and serious injuries as everyone was thrown from the vehicle by the huge forces involved. It was possible that a slight difference in the hardness of the sand during the turn was a contributing factor to the accident. I have seen four vehicles that have flipped in this fashion on Muriwai over the last 18 years so keep the speed down, take it easy on the beach and please drive carefully. Vehicle on Beaches - Ban Them? Paul attended a meeting organised by the Rodney Distric Council to discuss the issue of allowing vehicles on beaches. Of around 70 attendees only FOUR were representing those who actually drive on the beaches. DOC and enviromental groups were by far in the majority. The feeling Paul got was that the vast most were either very concerned about the damage caused by vehicles on beaches, and wanted more controls placed on 4WD access, or they simply wanted vehicles banned completely from all beaches. Once the outcome of the meeting is known the result will be discussed in this newsletter. We are here to help. If you need assistance please contact us below or search our websites. Above: Morgan Barnes with a decent sized snapper from a Whangarei longline set that caught 21 good sized fish from 25 hooks set! 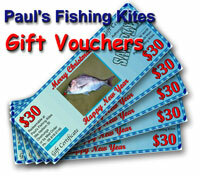 Fishing Tackle Sale On Now! Find out where and when the fish are biting, best baits and more! Our newsletters are packed full of fishing tips, fishing videos and catch photos.